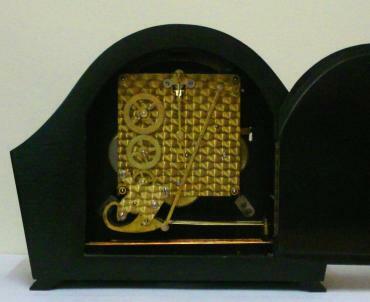 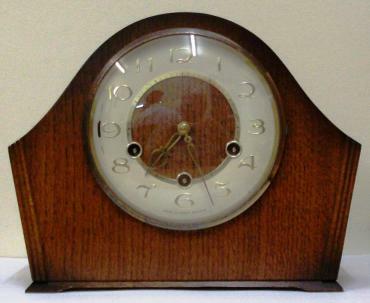 Stock Number: CLMA052 - English 8 Day Westminster Chime Mantel Clock - £375. 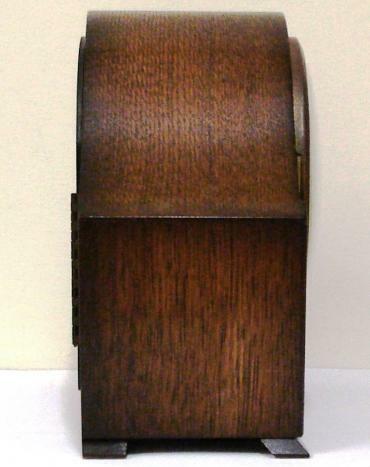 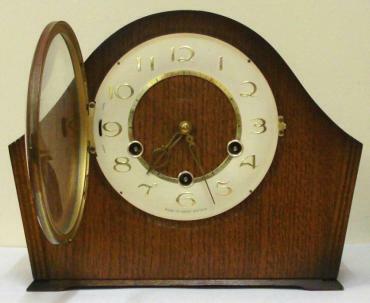 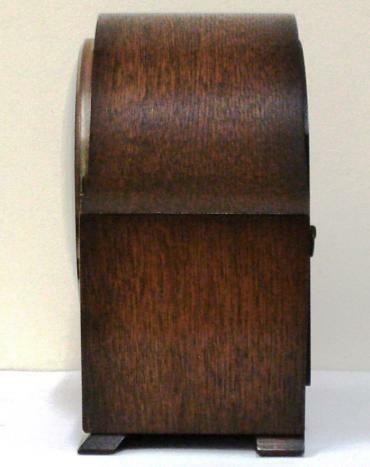 English 8 day oak veneer cased mantel clock circa 1950 by Smiths. 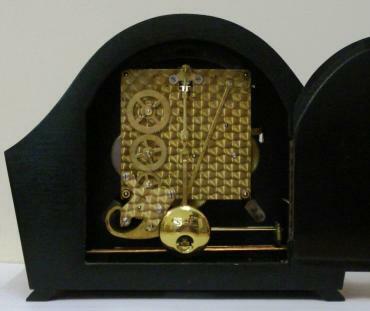 Angular round topped case with delicate side moulding and a circular brass bezel with convex glass over an ivory coloured chapter ring. 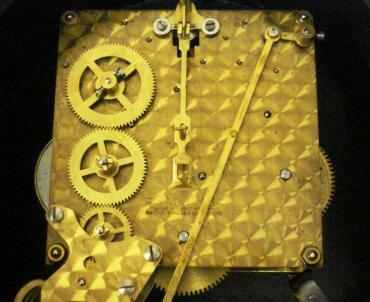 Gilt arabic hours and fretwork hands and Chime / Silent control at 9 o/c. 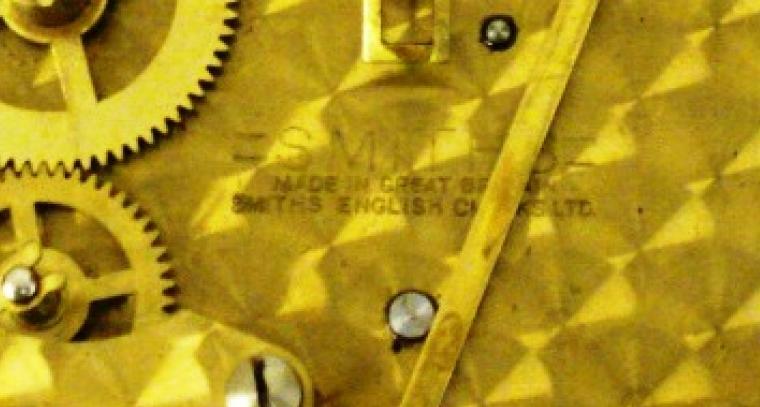 Good quality pendulum regulated, spring driven, rod striking brass movement with decorative engine turning and stamped '-Smiths-, Made in Great Britain, Smiths English Clocks Ltd.'. 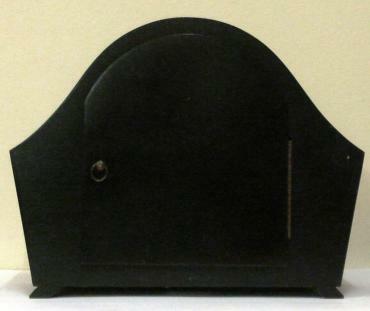 Dimensions: Height - 8.75", width - 11", depth - 5.5".